Bible Study classes are open to all adults, regardless of parish affiliation. Enjoy lively discussions and in-depth studies directed by our clergy every Thursday night from 7-8pm. 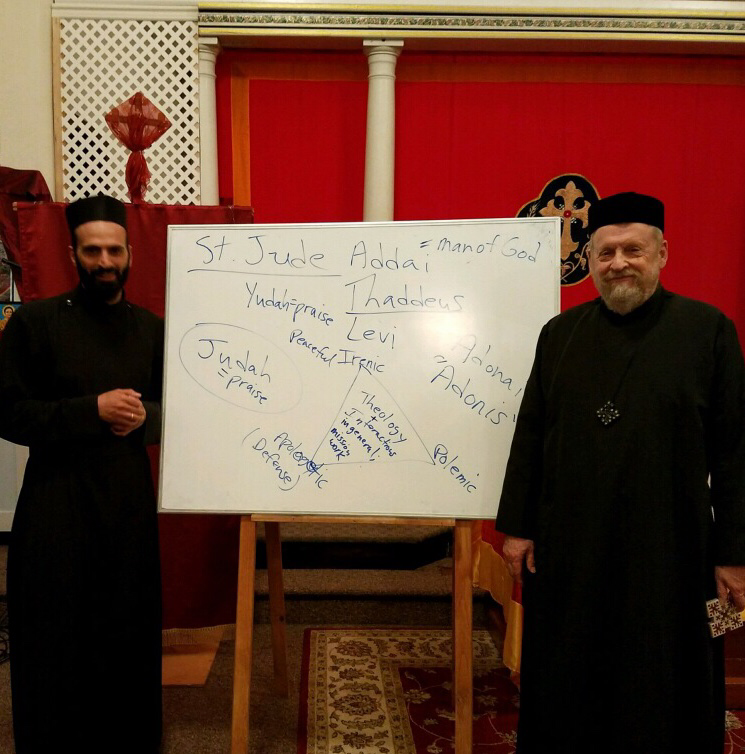 These classes are especially helpful for those who wish to learn more about the ancient faith of the Church founded by Jesus Christ and handed down unchanged to us in the 21st century. Please join us in worship in Evening Prayer right before Bible Study starting at 6:30 p.m.
All are welcome. Our sessions are fun, informative, and lively with lots of discussion and are taught by Deacon Rajiv and Fr. Michael. Hope you can join us!